ANSI grade 2. 6 pin Schlage C keyway. UL listed for 3 hour fire door. 2-3/4" backset. Non handed. Anti-sag lever. Satin chrome finish. Function: Turn/Pushbutton locking. 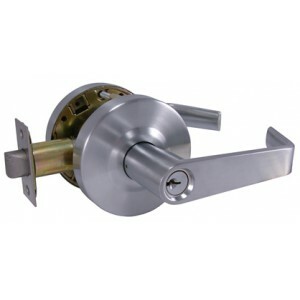 Pushing and turning button locks outside lever requiring use of key until button is manually unlocked.Pushing button locks outside lever until unlocked with key or inside lever is turned. 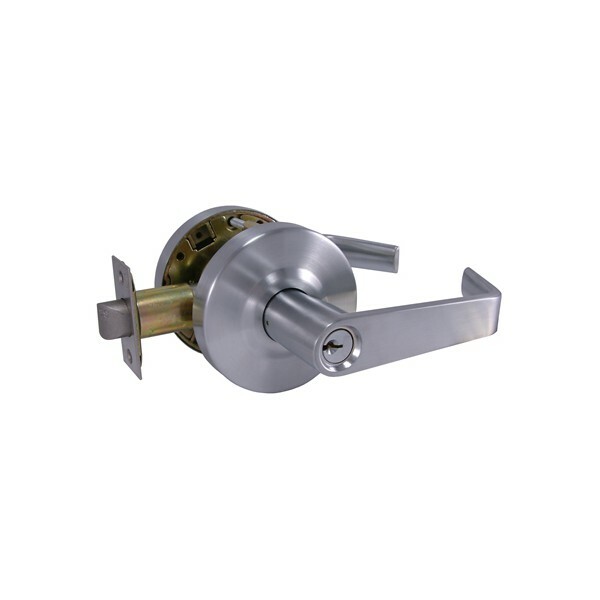 Deadlocking latchbolt operated by inside lever at all times.